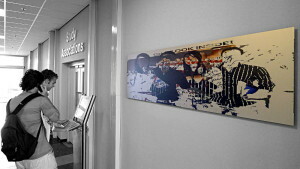 Zap @ UMCG – DISEASE & REMEDY – diptych for the Department of education @ UMCG Hospital (Groningen, NL) – 2009. Step 1: 200 + new staffmembers of SNS Reaal Groningen supplied query words to which they identify their company. Step 2: A random script has selected four keywords from these 200 words. Terms that where submitted often were thus more likely to be selected. Step 3: The five keywords used (Knallen, Transparant, Trots, Oplossen, Vriendelijk) Gave us the following images (first image on google). Step 4: Our Zapmachine produced over 500 + collages on the basis of these images. ApFab selected the four most attractive collages from this large amount. 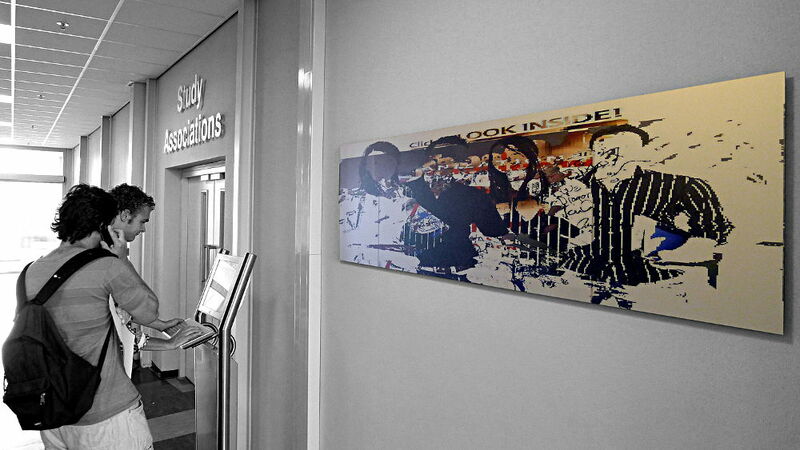 Subsequently, the team at SNS Reaal, together with ApFab, deciden on wich work to print on aluminum.